An estimated 1.3 billion people in the world suffer from hearing loss. According to the WHO, 360 million people suffer from hearing loss so disabling that activities most people take for granted, like having a conversation, are impossible for them without a hearing aid. 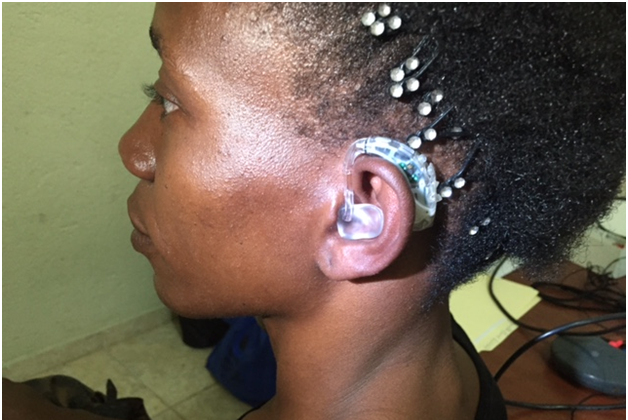 Unfortunately, the vast majority of the hearing impaired living in low and middle income countries find hearing care remains inaccessible because of the high cost of hearing aids, insufficient treatment services, and the lack of trained professionals to fit hearing aids. As a result, fewer than 1 in 40 people in the developing world who need a hearing aid have access to one. Sadly hearing-impaired children born in countries with very few available disability services are unlikely to attend school. Those who do attend school struggle to hear their teachers and often fail to get good grades. Many are ostracized socially because of their impairment. They grow up without a proper education and have difficulty finding work as adults. Additionally people who suffer from hearing loss often have trouble communicating and become isolated from their communities. They have trouble fitting in and are often mistreated. As a result of this discrimination, many suffer from mental health problems such as depression, anxiety, and low self-esteem. In certain countries, stigmas against hearing loss are so extreme that they can lead to abuse. Where disabilities are considered a form of punishment from God, hearing-impaired children are viewed by their parents as a source of shame and are hidden out of sight. They are not allowed to participate in the world around them. The hearing ministry of Operation Go Quickly understands the urgency of addressing this issue. Providing children with hearing aids allows them to attend school, find work, and participate in their communities, contributing to their well-being while lifting them out of poverty. Operation Go Quickly creates the opportunity for hearing-impaired individuals to realize their full potential as productive members of society. Those fitted by our hearing ministry staff help the hearing impaired avoid discrimination, stigmatization, and inferior educational and social services. These individuals are able to realize their full potential as productive members of their communities. Most important they are able to hear the Good News of God's love toward all people especially those with disabilities. 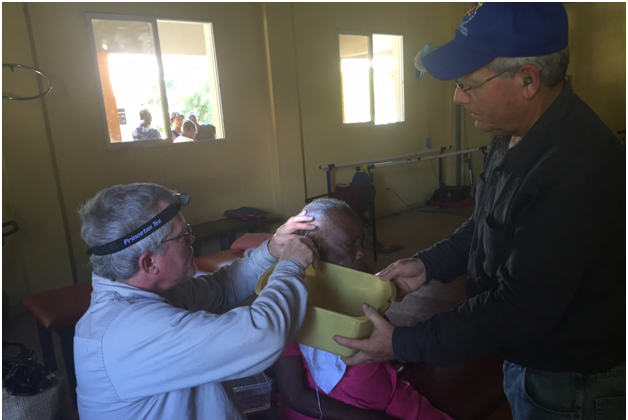 We have countless stories of those assisted by our hearing missions. To sustain and expand the hearing ministry Operation Go Quickly actively seeks donations of new and used hearing aids. Audiologist and hearing aid dispensers are urged to volunteer their time and services so that more hearing impaired may be helped in more countries. Hearing aid dispenser Kurt Chappell heads up the Operation Go Quickly hearing ministry. He may be contacted at kurt@goquickly.org. I am interested in learning more about your hearing aid ministry and what are you specific goals and needs.